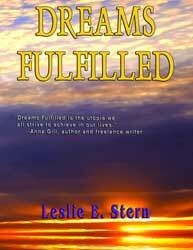 As world headlines blare war, entrenched partisanship, and negativity in almost every sector, author Leslie E. Stern uses her new novel “Dreams Fulfilled”, published by TotalRecall Publications, to shine a bright light on what humanity could be. The Dreams Quartet is an epic novel that takes place in the 1980’s and portrays two men who help pioneer the modern sailing industry using philosophies that help them avoid potential actions that could destroy their industry – unlike the greed and ruthless corporate behavior cataloged in daily news stories. Leslie E. Stern combines her MA in English Literature, doctoral work in philosophy, and experience as a sailor, racer, and daughter of a legendary luxury sailboat designer to immerse readers in the intriguing world of wind and water and explore the idea that novels don’t need antagonists to enthrall. Graham Bennington, the patriarch of the American family in this new fiction saga, designs the highest quality sailboats ever seen. In “Dreams Fulfilled” the reader not only becomes entranced with the depth of the characters but learns how to sail and why boats sail, they learn how sailboats are built, and get a the behind-the-scenes look at the sailboat building industry. Writer Bio : Los Angeles native, Leslie E. Stern earned an MA in English Literature from the University of Miami and pursued a doctoral degree in philosophy. She went on to career in public relations, but never forgot her roots in fiction writing. Leslie is now the highly acclaimed author of the poetry book "Images from My Soul," award-winning non-fiction book "Living With A Legend," and award-winning novel "Addictive." Her biological father owned Islander Yachts and later designed every boat in the Challenger Yachts line of luxury sailboats he owned, pioneering many of the amenities the sailboat industry now takes for granted. Leslie worked at Challenger Yachts and was an avid sailor and racer for most of her life. She is currently completing the Dreams Quartet and then the Gifted Trilogy. 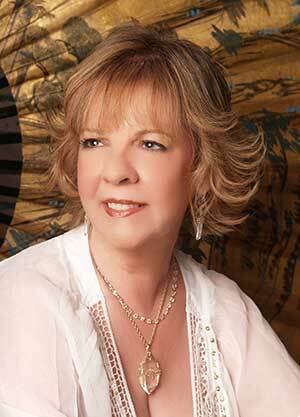 She is an active member of Mensa and is a member of Writer's Guild of America, Atlanta Writer's Club, and Zona Rosa. Create an Account to start promoting, marketing and advertising your book and events.